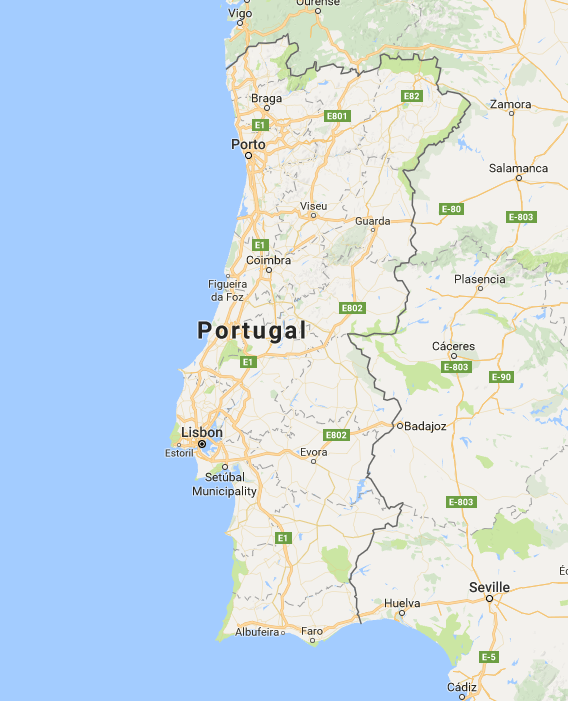 Moving to, from or within Portugal? We have regular vehicles servicing all of your Portuguese relocation needs. From London to Lisbon or Porto to Paris; let Matthew James take the stress out of your removal to Portugal or across Europe. A part/shared load service is a cost effective way to move your goods to and from your destination. The reason this service is so cost effective is that you share the vehicle with other consignments and therefore the vehicle costs are also shared. All consignments are individually prepared, numbered, labelled and inventoried to ensure all items are correctly delivered to you. The main advantage of a part load service is that you will receive the Matthew James service of excellence at the most cost effective price. A direct service combines Matthew James’ service of excellence with the added advantage of a dedicated collection date and express delivery timescale. Handling of your effects is minimised as they remain on the same vehicle throughout. Although your delivery will be carried out in conjunction with other clients’ consignments, this means you will share the cost of the vehicle and your consignment will be prioritised for onward delivery typically within 7-10 days of collection. A dedicated service gives you the flexibility to choose your collection and delivery dates. This service means you will have exclusive use of one of our bespoke removal vehicles. This service guarantees the Matthew James service of excellence and peace of mind that your moving dates can be fixed, allowing you the convenience to make travel arrangements and plan your arrival. All delivery dates are subject to EU laws on driving time. We can confirm the timing prior to any booking. 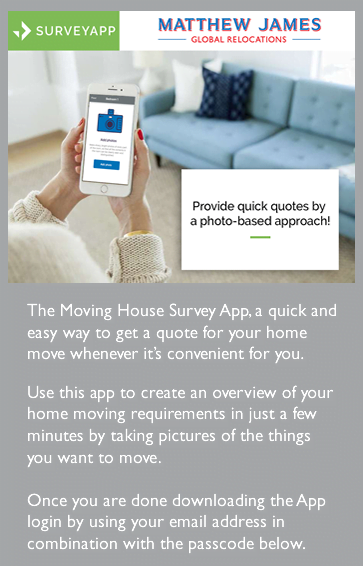 Click below to complete the Quick Quote form and then submit it to us for immediate attention. At Matthew James Removals we have the local knowledge and industry experience to handle all of your relocation needs, wherever in Portugal you choose to move. With 3 generations of experience, a customised vehicle fleet and weekly services, you can be sure you’re in the most capable hands for removals to Portugal and from Portugal to the UK. Variety of bespoke removal packages. Storage and consolidation depots throughout western Europe. With 850km of serene beaches and a temperate climate influenced by the Gulf Stream, it’s no surprise that over 38,000 Britons have chosen to live their lives in Portugal. Steeped in history, Portugal has the oldest borders in Europe and was the first global empire; discovering Brazil in 1500 and monopolising the spice trade at the same time. Whether you’re heading to Portugal for the sunshine or to step back into yesteryear, Matthew James Removals has a range of tailored services to cater to your exact removal requirements. At Matthew James Removals we offer weekly services to, from and within Portugal, all year round. From dedicated removals to shared-loads or even single items and baggage, we offer a service to meet your requirements. Our expertise, know-how, local knowledge and specialist vehicles make us the obvious choice for removals to Portugal and throughout Europe. We are proud to be BAR International Associates (British Association of Removers) and members of IAM; the world’s largest trade association for the global moving industry. Our management systems have been assessed to ISO 9001 standards. All of our depots in the UK and Spain offer fully containerised storage facilities in modern and secure warehouses. Shared-loads are consolidated at our depots in the UK and Spain for onwards transport to Portugal and beyond. Your consignment is automatically covered up to £50,000 for total loss in the event of unforeseen circumstances such as a fire or flood. In addition to this we can arrange a full-cover insurance policy via our brokers upon request. One of the biggest allures for expats moving to Portugal is the year-round sunshine. Its long, warm summers and low average rainfall make it one of the most popular destinations for Brits looking to relocate to warmer climes. Positioned on the western coast of the Iberian Peninsula, sandwiched between Spain and the Atlantic, Portugal boasts some of the most beautiful natural landscapes in Europe. Along with its beautiful beaches and rolling mountains, Portugal also enjoys a variety of rich and vibrant cultures with some of the finest food, wine and architecture in the whole of Europe. Portugal’s cultural diversity provides a great opportunity for traditional lifestyles as well as livelier options in metropolitan areas such as Lisbon, Faro and Porto. With a relatively small population of 10.5 million people, Portugal presents a great opportunity for British expats looking to carve a larger slice of Europe for themselves. Property is also very reasonably priced across most of the country and, when coupled with the comparatively cheap cost of living, the financial reasons for relocating to Portugal can be very persuasive. This is especially relevant for British expats who are looking to spend their retirement years soaking up the Mediterranean sun on one of Portugal’s many white sandy beaches. As Portugal is part of the EU, you will not need a visa to relocate there. However, if you are remaining in Portugal for more than 3 months, you will need to apply for a registration certificate from your local Câmara Municipal (Town Hall). You will also need to register as a permanent resident for access to services such as schools, social security and healthcare. More information about visas and residence certificates can be found on the Portuguese immigration website. If you are relocating to Portugal with children, we recommend thoroughly researching Portugal’s education system as, although it possesses a number of international schools, it may be more worthwhile considering a Portuguese school, especially if you plan on permanently residing in Portugal.